The Morden Community Driven Immigration Initiative (MCDII) takes an active role in identifying new permanent residents to the community under the Manitoba Provincial Nominee Program (MPNP). Successful candidates and their dependent family members will become permanent residents of Canada. 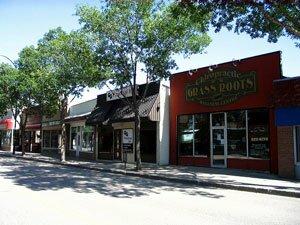 Morden, Manitoba is a city lying 112 km southwest of Winnipeg with a population of around 9,000. Have two (2) years of recent work experience in welding and commercial or residential carpentry. Have a federal express entry profile which will require a CLB language score of 7 and post-secondary education that is supported with an Educational Credential Assessment (ECA). Have two (2) years of recent work experience over the past 5 years in their target occupation. The initiative will favour candidates who have experience living in a rural area, with the ability to adapt to the culture and climate. Candidates who fulfil the criteria and have been selected as potential immigrants to Morden under the initiative will be required to make an exploratory visit to the area. The main purpose of the visit is to pass the MPNP interview, though making local contacts and seeking employment opportunities are also suggested. The MPNP requires that the candidate ensure he or she meets all minimum criteria at the time of the exploratory visit. It is also the responsibility of the applicant to maintain no connections throughout their application and until their arrival outside of Morden and in other parts of Canada. This means that if a friend or family connection moved outside Morden, the application will be reassessed by Morden's Selection Committee to reevaluate Morden's continued support of the application. Step 1: Determine his or her eligibility (requirements above). Step 2: MCDII will only be accepting applications from those who have an active Express Entry profile (with the exception of Welders and Carpenters). Proof of Settlement Funds (scan of bank statement and/or property estimation). Step 4: If an individual is selected, he or she will be given an invitation to come for an exploratory visit. Step 5: During the exploratory visit, the candidate will research Morden and prepare for his or her interview with an MPNP officer at the end of the visit. Step 6: If after the interview with the MPNP officer, the officer deems the individual is a good fit for MCDII and MPNP, he or she will be given an invitation to apply for MPNP. 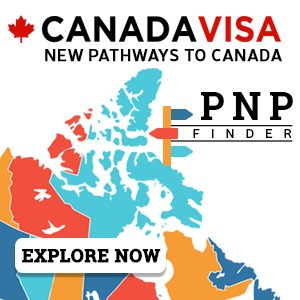 Step 7: The individual may apply online for provincial nomination through the MPNP. This is usually done after he or she returns home from the exploratory visit. Step 8: If, after the individual is reviewed by MPNP, it is determined that he or she meets all minimum qualifications of MPNP, he or she will be given a Nomination Letter from the MPNP. Step 9: Using this Nomination Letter, the individual may apply to Immigration, Refugees and Citizenship Canada (IRCC, formerly CIC) as a provincial nominee. Step 10: IRCC will do further review, including medicals and criminal record checks. Step 11: Once the individual receives Permanent Residence Visas, he or she can make arrangements to move to Morden, along with any accompanying family members. 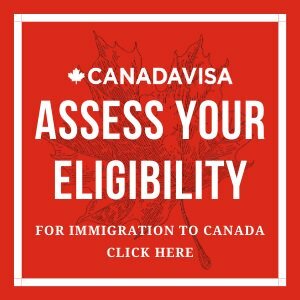 Discover your options for Canada immigration by completing our free assessment form.